Hashan Prasantha Tillakaratne (born 14 July 1967, in Colombo) is a former Sri Lankan cricketer and a politician. Hashan started playing cricket at D. S. Senanayake College, Colombo. 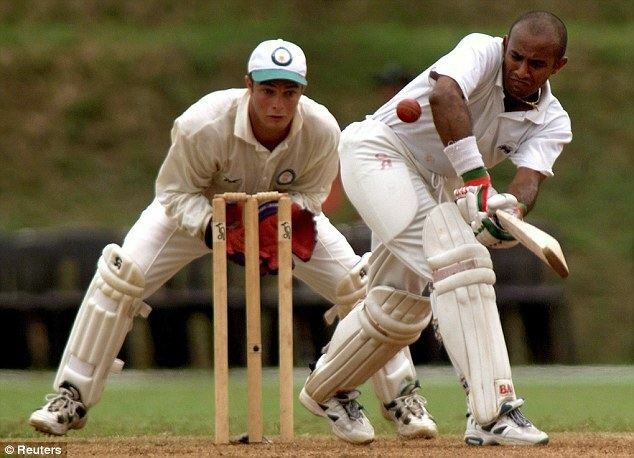 As a schoolboy in 1986, he was selected to play against England B at Galle, scoring a century to save the match. He played in his first One Day International in November 1986 and subsequently made his debut in the Sri Lankan cricket team as a wicketkeeper-batsman in December 1989. He continued as a specialist batsman from December 1992. He was part of the Sri Lankan cricket team that won the 1996 Cricket World Cup. He was dropped from the Sri Lankan Test and ODI teams after the 1999 Cricket World Cup, but returned to the Test team in 2001 following success in domestic first-class cricket, where he played for Nondescripts Cricket Club. He also returned to the ODI team in 2002–03. He became captain of the Sri Lanka Test team in April 2003, but won only one of his ten matches in charge. After losing 3–0 to Australia, he resigned in March 2004 and was not selected for Sri Lanka again. On 1 February 2005, the Sri Lankan cricket board appointed him Executive Director of Cricket-Aid, a body formed to provide relief following the December 2004 tsunami, but he was suspended amid recriminations later that year.. Following this he entered politics, joining the United National Party, and was appointed as the partys organiser for Avissawella constituency in Colombo. He continued his association with cricket serving on various SLC committees at the invitation of the newly appointed president, Arjuna Ranatunga. He was also granted an honorary life membership of the MCC in March 2008. In May, he was appointed the president of the Association of Cricket Umpires and Scorers of Sri Lanka (ACUSSL) and the Sri Lankan cricket board appointed him as National Cricket Team Manager in July 2008. This appointment was subsequently vetoed by the Sports Minister Gamini Lokuge on the grounds that the SLC had failed to obtain his prior permission on the appointment.